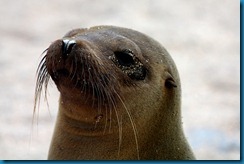 Sea lions “euthenized” to ease the suffering of chronic eating. Oxygen dependency to follow. 15 Mar in Animals, Environment(alism), WTF?! A California sea lion last week became the first salmon predator to be euthanized this year under a program that has been denounced by those who say there are far greater dangers to salmon - including the series of hydroelectric dams on the Columbia. 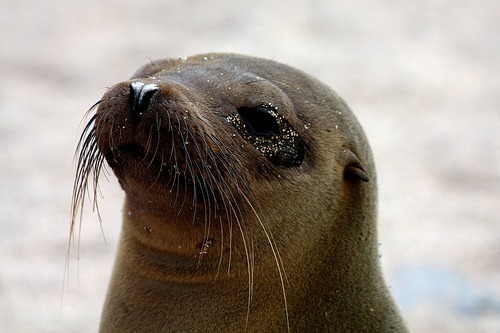 … Last year, 11 sea lions were euthanized. Another four were transferred to zoos or aquariums. … The sea lions represent a massive he adache each year as chinook salmon begin arriving at the Bonneville Dam east of Portland, congregating in large numbers as they return from the ocean. Sea lions have become keenly aware that the dam is a great spot to feast on salmon, easy pickings as they wait to go up the dam's fish ladders. And just for the record – ‘euthanized’? Really?! Microwave ovens do not cook food from the inside out. Microwave radiation penetrates food and causes direct heating only a short distance from the surface. This distance is called the skin depth. As an example, lean muscle tissue (meat) has a skin depth of only about 1 centimetre (0.39 in) at microwave oven frequencies.